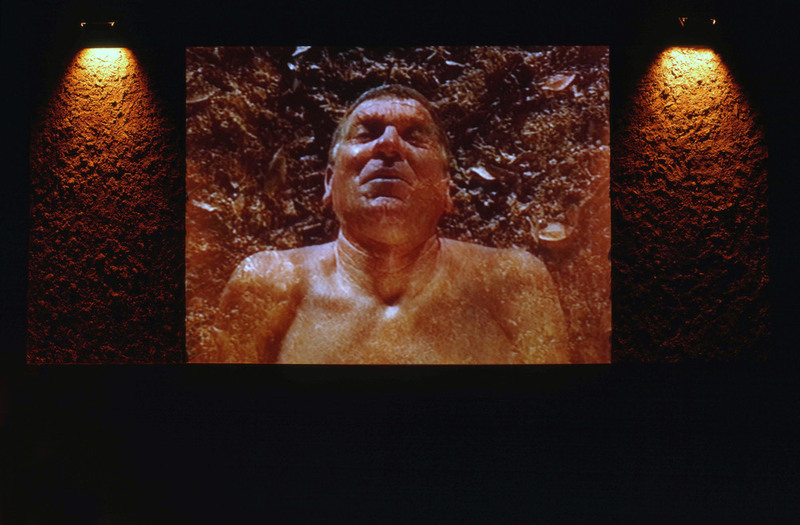 The primary concern for Vince Briffa is biological time and its effects on human beings. More than in the Greek myth of the underworld, I feel that Hermes bears a stronger connection to the Biblical narration from Genesis wherein it is stated that man is created from the soil to which he is eventually destined to return. Soil becomes thus the symbol of man's nemesis, and in many ways provides him with an enduring psychological trauma. 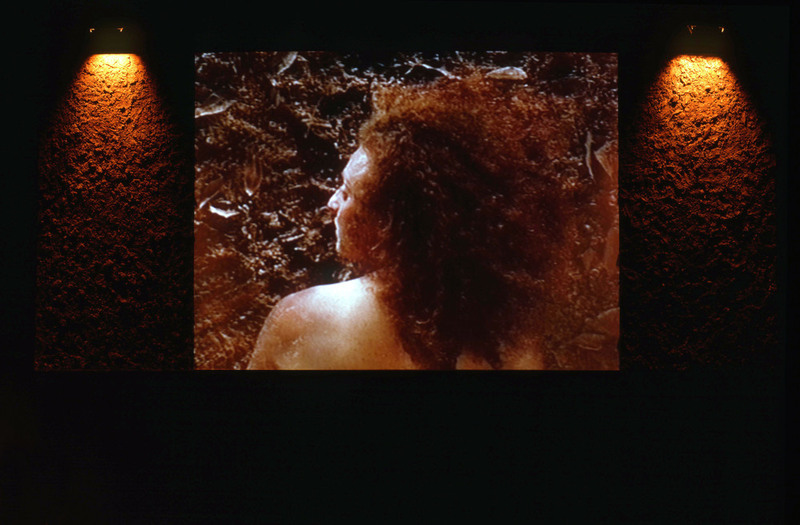 Presented in a Caravaggist chiaroscuro play, Briffa's video collage must be understood as a representation of the dominionistic qualities of nature. Its continuous threats produce in man fear and alienation, changing him into a powerless being unable to respond to its might. The passing of time enhances the silent agony of the trapped person, and in contrast with the general knowledge on the meaning of light as a metaphor of life and the mystic, light is now purposely directed to illuminate the scentless, barren earth. Light marks the end of biological time in an exaltation of death and in its failure to attain transcendence.